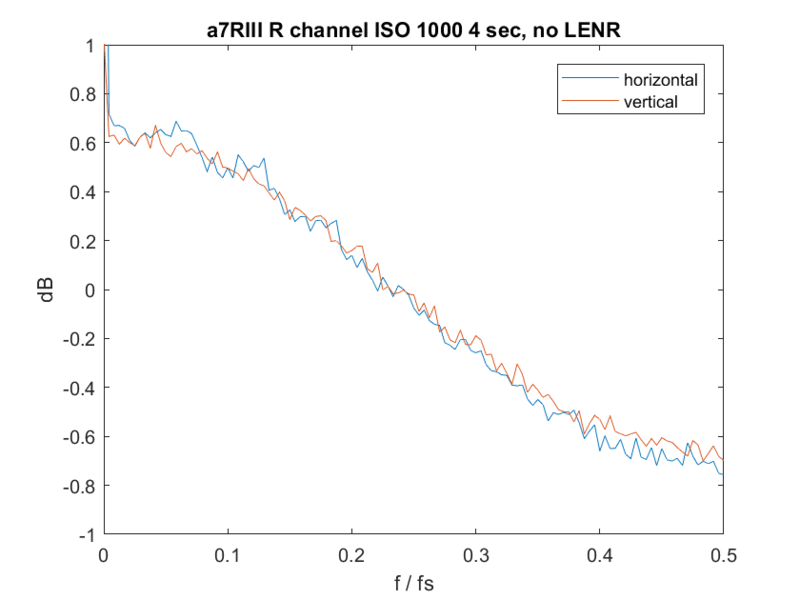 This is the third in a series of posts on the Sony a7RIII (and a7RII, for comparison) spatial processing that is invoked when you use a shutter speed of longer than 3.2 seconds. The series starts here. In a comment on the preceding post, Drew Geraci said that there were differences in the dark-field frequency responses that I’d posted for the a7RIII (recently) and the a7RII (some time ago). Since I use different parameters for these plots, I decided to go back and do an apples-to-apples test of two dark-field files that Rishi sent me. Both were made at ISO 1000, single shot, uncompressed raw, with a 4-second exposure. I don’t see any material difference. That would mean that the v3.00 firmware did spatial filtering. 3.0. I questioned Rishi on that, since he created the file, and he and I both checked the EXIF. He was right. That’s a surprise to me, too. The v3.0 update said “Improves picture quality”. @offtopic: any chance to measure electronic shutter speed also for Sony A7R III? Being a normal sensor (not with dram like A9) i presume it’s similar with A7R II/D850. When I get the camera, that will be one of the first things I’ll test. My expectations mirror your own. 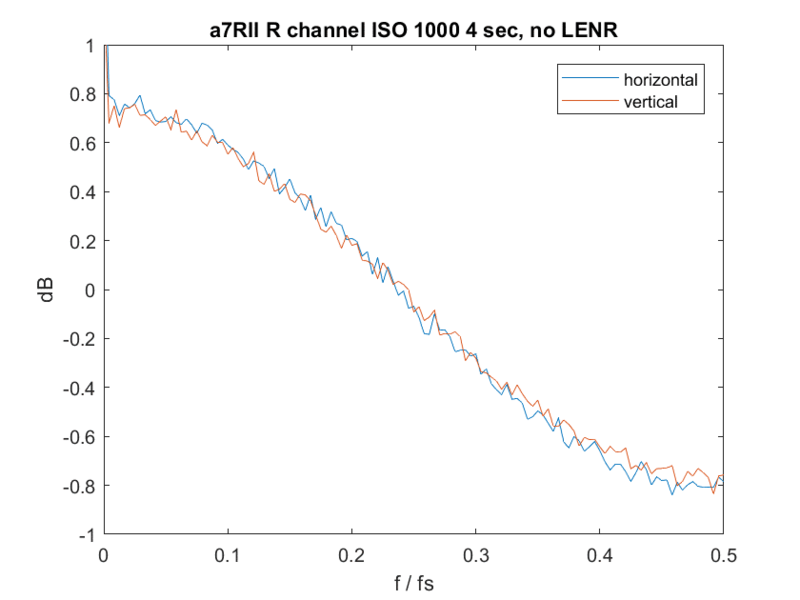 I can confirm that I get the same number of dark/light bands under 120Hz solid state LED lighting as the a7R II, so I imagine the shutter rate is the same (Jim you measured that as 1/14s, correct?). The electronic shutter in the A7R III is actually slightly faster in 14bit mode and about twice as fast in 12bit mode (which you enable with compressed raw + continuous shooting) compared to the A7R II (which is always 12 bit). That’s good. I can hardly wait to test one.